Having a lush green lawn is basically the Australian dream. 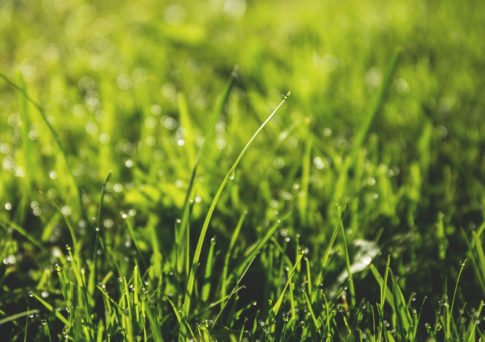 With weekend BBQ’s, kids’ parties and that feeling of walking around barefoot in the grass, the benefits of have a beautiful green lawn might seem endless, and it’s because they are. To show you what we mean, below are even more reasons why turf is the best choice for you home. Turf improves water quality. Water that’s filtered through grass is said to be at least 10 times less acidic than run off from hard surfaces, improving the quality of the water. Research also found that 232 of turf absorbs enough carbon dioxide (CO2) and releases enough oxygen for a family of four to breathe for a year. This added oxygen in the air is beneficial to our health, as well as the plants and animals around us. It also works to offset emissions in the air such as from our car and buildings around us. Grass absorbs sound is reported to reduce roadside noise by up to 40%. This means a grass front and backyard can reduce noise from the street and from the neighbours, making your home even quieter and relaxing after a long day at work. Green spaces and clean air are noted to alleviate stress, induce relaxation and creativity, and just improve your mood. Backyards and always a welcome retreat after a busy day, and when you have a lush green lawn to sink your feet into, it produces a soothing and calm reaction from your body. The average front lawn has a cooling effect equal to two air conditioners. This one is especially relevant for our hot Australian summers. Healthy turf is cooler than any alternative in the hot sun. It’s 30 degrees cooler than cement or pavers and 14 degrees cooler than straight soil. Turf acts as a fire break, which reduces the risk of fires starting or spreading around your house, property or neighbourhood. There’s nothing better for kids than running around and playing on the beautiful soft grass together. Not only that, but grass offers children a much safer environment for running, rolling and tripping over. As mentioned in an earlier point, grass is also much more gentle on children with allergies such as asthma as there is fewer pollutants and dust in the air. Having a safe and green backyard for your children, or grandchildren, to explore has shown to improve their creativity and confidence with growing up. Having turf around your home improves air quality. It filters out the minuscule particles of dirt and dust that float around in the air, as well as trapping smoke and other air pollutants that might be present. These particles and pollutants can lead to irritated eyes, allergies and breathing difficulties, especially in children. Research has shown that grass traps around 12 million tonnes of dust each year. As an added benefit, a turf yard means less dust on the windows, the roof and the floors around your home. Not sure which grass to buy? Turf is an important part of the iconic Australian backyard, and it can last a lifetime, so it pays to do your homework when choosing a turf that’s right for your soil conditions, your location and your needs. At Go Turf, are the largest independent turf producer on the Sunshine Coast, supply high-quality turf to developers, builders, landscapers, home owners and other turf producers across the region. Contact our team today for all your turf requirements or any questions you have.